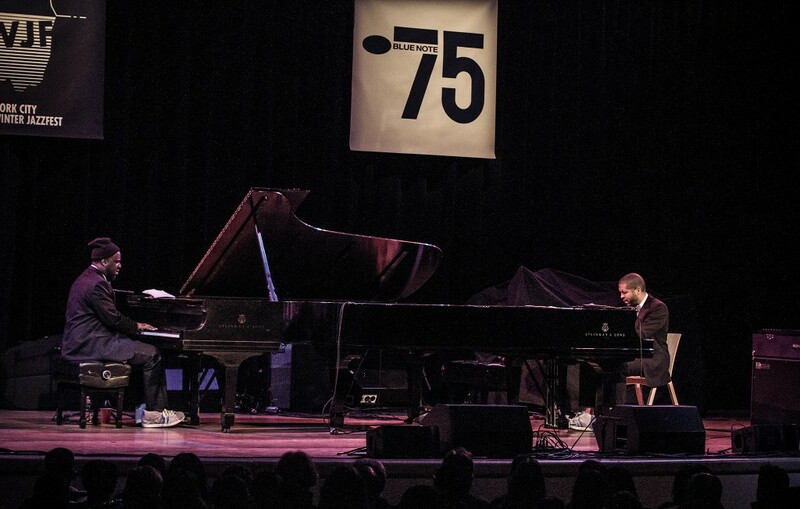 Esteemed jazz pianists and composers Jason Moran and Robert Glasper take the stage at the Walker’s McGuire Theater on Saturday, May 2 at 8 pm and 10:30 pm for two exclusive US performances. Showcasing collaborative talent through an energized repertoire of jazz history, their duets pay tribute to a number of influential jazz geniuses. Honoring the contributions of artists such as Thelonious Monk, Sam Rivers, Herbie Hancock, Wayne Shorter, Ornette Coleman, Albert Ammons, and Meade Lux Lewis, the duo’s compositions and improvisations reflect the ever-changing landscape of contemporary jazz. Although they acknowledge the rich legacy of their jazz forebears, they also catalyze a fresh conversation about the very state of the genre. Through extreme virtuosity, humor, and poise, Moran and Glasper launch jazz into a new realm. Moran and Glasper both attended Houston’s High School for Performing and Visual Arts, but only recently did they decide to fuse their individual musical inclinations into one performance. The pair made their debut at the 713–212 —> Houstonians in NYC concert in 2011. They came together again with force at last year’s 75th anniversary celebration of Blue Note Records in New York City. Through solos, duets, and improvisation, they alternate back and forth until the culminating moment when their music becomes one. You can still expect their individual personalities to emerge next Saturday night, as both hold acclaimed musical careers in their own right. Their divergent paths make the pair an unlikely but impeccable duo. They share a similar ambition: to take jazz in new directions. As part of a two part series on their upcoming collaboration, I first delve into the artistic career of Jason Moran. Another post will follow next week highlighting the work of Robert Glasper. 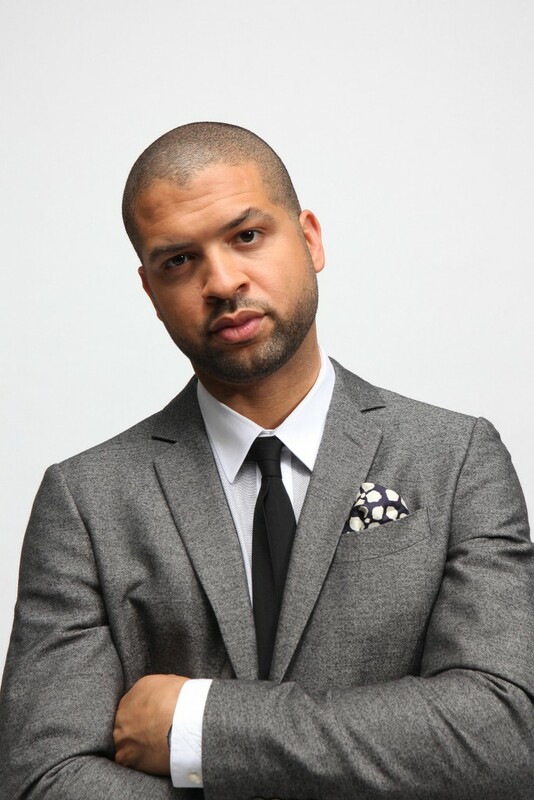 As a Houston native, Jason Moran began playing the piano at age six, later moving to New York to study jazz at the Manhattan School of Music. While he cites Monk as his first inspiration, Moran’s oeuvre continues to break down boundaries that once divided jazz from other artistic disciplines. A 2010 recipient of the MacArthur Genius Award and the Artistic Director for Jazz at the Kennedy Center for the Performing Arts in Washington D.C., his formidable artistic achievements continue to reach audiences around the world. Moran is no stranger to the Walker. Since 2001, he has participated in a variety of distinctive performances here, including his collaboration with legendary saxophonist-flutist Sam Rivers; an evening with his trio The Bandwagon (drummer Nasheet Waits and bassist Tarus Mateen); and a postmodern jazz tribute to Thelonious Monk. In addition, his residency at the Walker resulted in the acclaimed 2005 Walker-commissioned piece, Milestone. While at the Walker, Moran did not limit himself to the McGuire Theater. 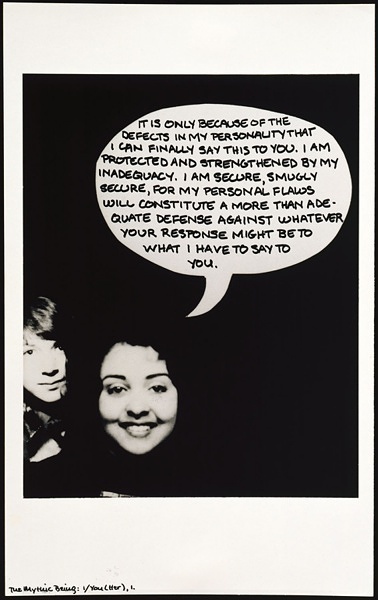 He ruminated on the artworks in the Walker’s permanent collection, including performance and visual artist Adrian Piper’s The Mythic Being; I/You (Her) (1974). His intensive research into Piper’s work, and other works in the Walker’s collection, resulted in a new concert form and evening of music. Throughout his composition of Milestone, Moran maintained close contact with Adrian Piper. He adopted her consciousness for the personal, political, and performative dimensions of art, later synthesizing this philosophy into his compositional strategy. He comments on how reframing traditional compositions within this collaboration allowed him to “tamper with the form [of jazz].” Milestone remains just one of many instances when Moran decided to push the boundaries of jazz. As seen from his exchange with Piper, Moran does not limit his musical ambitions to individual acclaim. Instead, he takes unprecedented effort to foster collaborations with artists, musicians, poets, curators, and choreographers across disciplines. These include performances and compositions with Glenn Ligon, Me’Shell Ndegeocello, and Lorna Simpson, as well as a decade-long, ongoing collaboration with Joan Jonas. Moran has also worked with renowned contemporary visual artist Kara Walker, celebrated for the intricate silhouettes she affixes to gallery walls to create a landscape that interrogates racism in past and present. Walker illuminates a history embedded with enslavement, exploitation, and sexual violence. She performed with Alicia Hall Moran and Jason Moran in their multimedia work Bleed at the 2012 Whitney Biennial. Jazz and activism are so integral to each other, whether we think about the music of Max Roach, Charles Mingus, Duke Ellington, the music of the vaudeville performer Bert Williams in the early 1900′s, or the music of Paul Robeson. That link, that defiance, that comes out of the origins of jazz and blues are what we know of black music in American. It has that kind of tension and history built in to it, a process of exploring sounds from James Brown to today’s artists like John Legend and Common, who perform Selma’s end song, “Glory”. So when I study jazz, I don’t just study just the music. I study its relationship where it was in the history. (Full interview found here). The much-anticipated documentary Looks of a Lot explores the shifts that Moran proposes for how we define jazz in 2015. Directors Radiclani Clytus, Gregg Conde, and Tony Gannon set out to complicate narrow interpretations of jazz by displaying the interdisciplinary sound Moran has created through his extensive collaborative efforts. Looks of a Lot provides a window into the far reaching impact of Moran’s artistic connections. The film explores Moran throughout the preparation of his multimedia presentation, Looks of a Lot, as seen at the Symphony Center in Chicago in 2014. 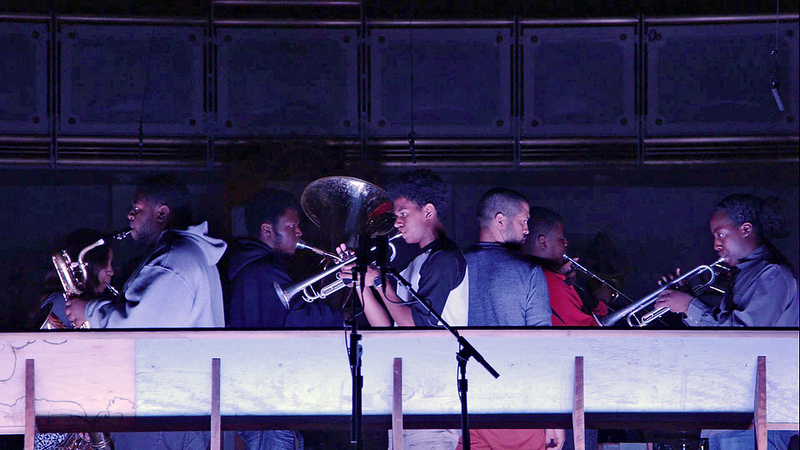 His collaborators include the Bandwagon and Chicago sculptor Theaster Gates, reedist Ken Vandermark, Katie Ernst, and the Kenwood Academy High School Jazz Band. Looks of a Lot will be screened at the Walker Cinema on Thursday, April 30. Stay tuned for part two of this series, on Robert Glasper, early next week. Jason Moran and Robert Glasper perform at the Walker Art Center’s McGuire Theater on Saturday, May 2nd at 8:00 pm (sold out) and 10:30 pm (limited tickets available). The documentary Looks of a Lot will be screened during Target Free Thursday Night on Thursday, April 30th at 6:30 pm and 8:00 pm in the Walker Cinema.